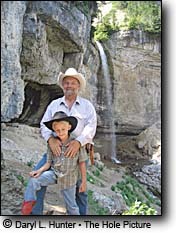 Daryl Hunter and son Cody enjoy the horseback ride up the Darby Wind Cave. Driggs, Idaho is the County seat for Teton County, Idaho. Nestled at an elevation of 6200 ft between the majestic Tetons and the beautiful Big Hole Mountains, Driggs has a diverse population of approximately 1500 people in an incorporated area of 2.76 square miles. Driggs has numerous housing opportunities along with a large range of business enterprises. The historic Driggs business district combines the old west with the eclectic, and includes new and used bookstores, an authentic Austrian bakery, working creamery, an historic soda fountain, impressive local artist galleries, cafes, pubs, grills, outdoor gear shops, and more! Please visit the Chamber of Commerce website for details on all of the local businesses, merchants and artists as well as the many events, including the Teton Valley Summer Festival (July 3-8), held around the year. In the summer months, don't miss the Farmers' Market and Open Air Market (Fridays from 9 am to 2 pm). The quiet side of the Tetons? Driggs was not so long ago a part of a quiet valley, home to old-family farmlands. Increasingly over the last few decades, a number implants, many of whom came to the Teton Valley by way of Jackson Hole have opted to move a little farther west, over Teton Pass, either commuting for work or more and more commonly finding livelihoods in Driggs, Victor and Tetonia. For those looking for adventures outside of downtown shopping life, Driggs, Idaho has those opportunities waiting here for you. Local outfitters and guides offer everything from fishing and hunting to mountain biking and skiing to a hot air balloon or glider ride over the valley. The City of Driggs also has numerous parks to entertain the kids, including a newly built skate park. Driggs is at the foot of the west side of the Grand Teton Mountain Range. At nearly 10 million years young, the Tetons are the newest mountains in the Rockies. In fact, they continue to grow today at the snail-like pace of about an inch every hundred years. 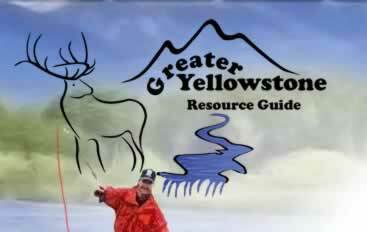 In fact, the largest peak on the range, Grand Teton, now stands at 13,772 feet. The Driggs area is a true Mecca for many sports. 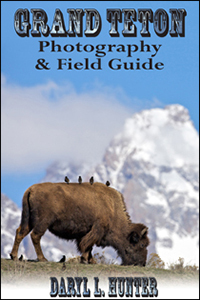 From hunting elk to fly fishing, snowmobiling, skiing, snowboarding, road bike riding, mountain biking, hiking, horse back riding and much more. Take a few runs at Grand Targhee Ski Resort or Teton Pass, or bike the Big Holes, wet a fly in the Teton River, go to a rodeo, hike the Alaska Basin Trail, or take a road drive to visit Yellowstone National Park or Grand Teton National Park. Our valley is a region of contrasts. 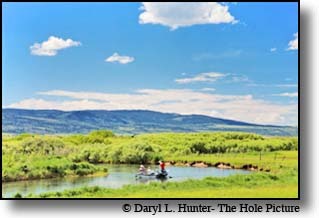 Excellent fly-fishing in the Teton River our feeder creeks in summer or cross-country skiing in the winter. Driggs is also culturally unique as the Native Americans made Teton Valley their fur trade center. The rugged and jagged, snow-capped Tetons to the east and the rolling Big Hole Mountains to the west cradle the gentle, flat course of the Teton River through the valley. The river has been a source of water for farms and ranches since the valley was founded in the early 1800’s. The hiking and backpacking in the Tetons east of Driggs is as good as it gets. As of the census of 2000, there were 1,100 people, 386 households, and 252 families residing in the city. The population density was 1,054.5 people per square mile (408.4/km²). There were 449 housing units at an average density of 430.4/sq mi (166.7/km²). The racial makeup of the city was 83.73% White, 0.09% African American, 0.73% Native American, 0.73% Pacific Islander, 13.64% from other races, and 1.09% from two or more races. Hispanic or Latino of any race were 20.55% of the population. In the city the population was spread out with 30.5% under the age of 18, 10.8% from 18 to 24, 34.6% from 25 to 44, 15.9% from 45 to 64, and 8.2% who were 65 years of age or older. The median age was 30 years. For every 100 females there were 112.4 males. For every 100 females age 18 and over, there were 114.3 males. 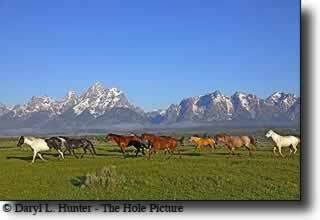 We share the Tetons with our neighboring valley to the east, Jackson Hole, Wyoming. Folks describe Teton Valley as "the quiet side of the Tetons." Driggs is served by Driggs-Reed Memorial Airport. 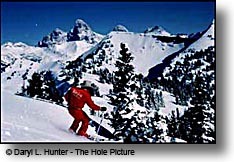 Located 12 miles east of Driggs in Alta is the Grand Targhee Resort ski area, and other skiing venues are located near Driggs. While Jackson has mushroomed into a tourist megalopolis, rustic Driggs, on the western flank of the Tetons, has managed to keep its feet on the ground as it has morphed into an outdoors-adventure capital. Friendly and unpretentious, Driggs is for people who love the mountains enough to live, work, and play in them—including many of the service-industry stiffs who keep Jackson running but can't afford to live there. Several airlines serve Jackson, Wyoming, 30 miles east. The Teton River is the best place to cast for cutthroat, rainbow, and brook trout. 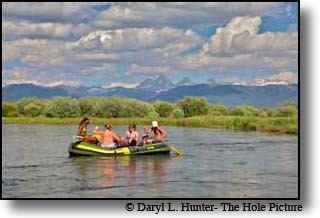 Laren Piquet Guiding Services (+1 208 354 2786) charges $300 per day to drift along the Teton in a flat-bottom boat. 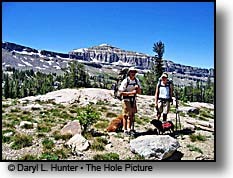 The 123,451-acre Jedediah Smith Wilderness in Targhee National Forest stretches from east of town to the boundary of Grand Teton National Park. Ride through wildflower meadows along Tin Cup Creek to a ridge overlooking South Leigh Canyon, then drop down to a campsite in Granite Basin. Hike 8 miles along the South Teton Creek to Alaska Basin, then continue 2 miles to Hurricane Pass for a spectacular overlook of Teton Valley and the town of Jackson. Starting at Horseshoe Canyon, the Big Hole Challenge loops 13.5 miles through the foothills of the Big Hole Mountains.